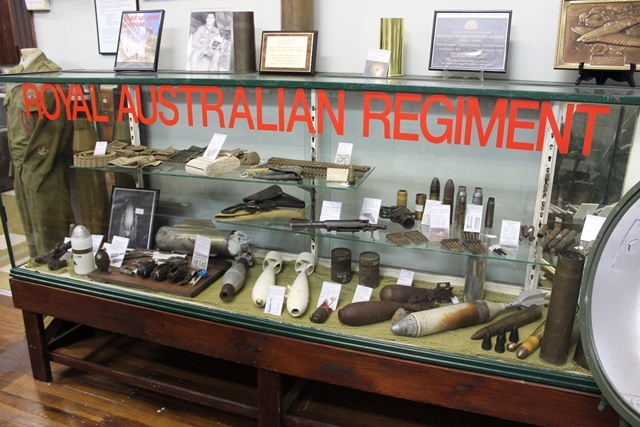 A tour of the Frank Partridge VC Military Museum takes you on a journey that leads from the trench warfare of WWI to twenty-first century combat technology. 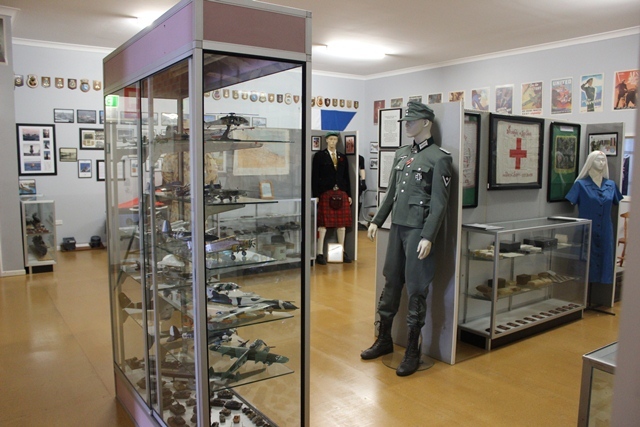 Located in the historic town of Bowraville, its collections cover all of Australia’s armed services and its displays of armoury, uniforms, medals, vehicles, art, publications and memorabilia are the largest on the Mid North Coast. 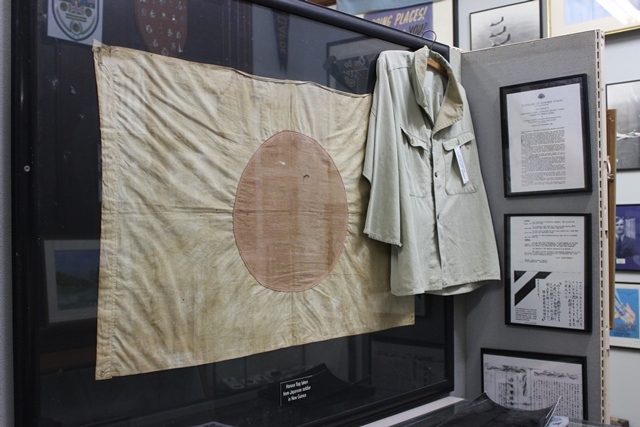 It is a must-see exhibition that brings visitors up close with those who have served Australia since before the days Anzac became part of our language. Private Frank John Partridge served in the 8th Australian Infantry Battalion AIF in Bougainville. He displayed outstanding heroism during an attack on the Bonis Pennisula in 1945. 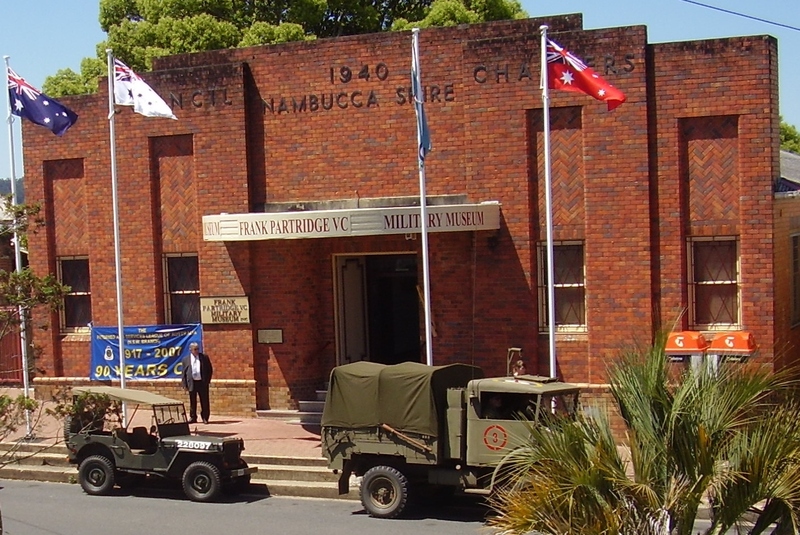 The Museum has been established in his name, as local memorial to his heroism and to commemorate, honour and preserve the memory of all those who have served Australia at times of conflict. 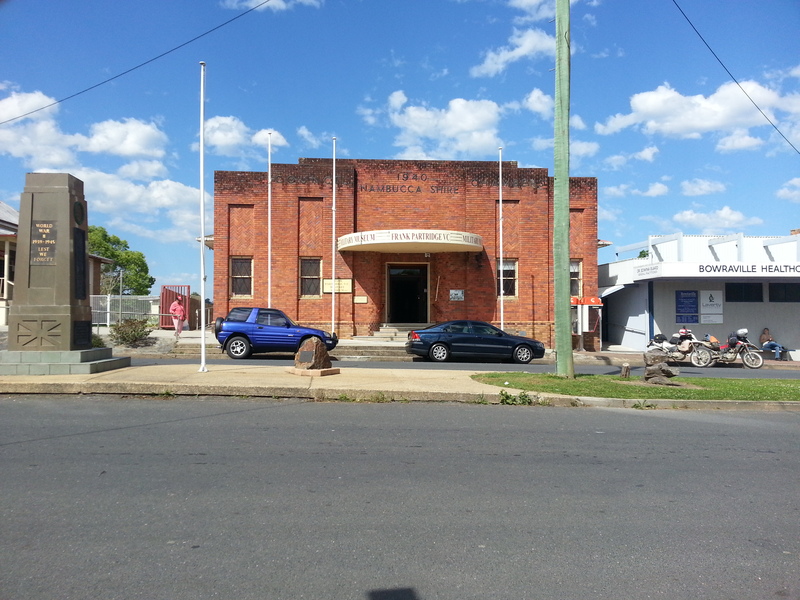 The shop sells T-shirts, key rings, stubby holders and war related souvenirs.